Over decades of playing with the Olympia Symphony Orchestra (OSO), some moments inevitably stand out in the musicians’ minds. For bassoonist Brian Geddes, one such moment occurred during a Tchaikovsky Concerto that featured violin soloist, Charles Castleman, in 2001. In the middle of a particularly fast-paced section, one of the strings on the soloist’s instrument broke. 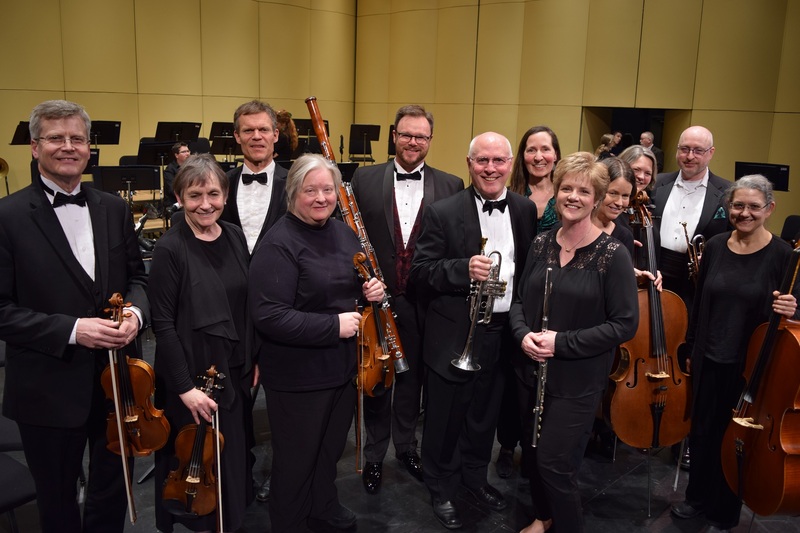 On April 28, OSO will perform a concert titled ‘Cast of Characters’ featuring music by Bizet, Ravel, Prokofiev and Offenbach that highlights characters from each work. The title could just as easily refer to the orchestra’s members, 13 of whom have been with the organization since Conductor Huw Edwards joined in 2002 – or even earlier. Some of them recently shared memories, perspective on OSO’s evolution over time, and a strong sense of appreciation for the community audience that has accompanied them on the journey. Flutist Cheryl Sears fondly recalls the time her husband Grant performed the Bruch Violin Concerto as concertmaster and the couple’s four- and seven-year-old daughters brought him flowers on stage. Others cited the series of Beethoven’s 9th Symphony concerts, which Anne Edwards describes as “challenging and chill-inspiring, with the choir singing and the orchestra playing moving rhythmic accompaniment.” Last year’s sold-out season finale performance of that work stands out for Reeves as well. 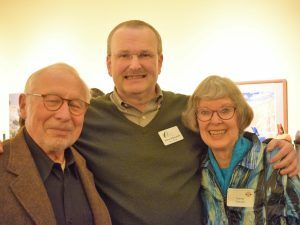 “It was a wonderful celebration of all this orchestra has achieved and how valued the organization is in Olympia,” she says. The group has clearly forged relationships with each other and their audience over time that are based in a shared love of their craft. “So many of us are music teachers,” says Cholakian. “It’s such a passion for everyone. 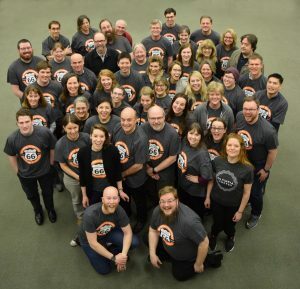 I feel like we’re a family.” Cheryl Sears looks forward to seeing her orchestra friends at rehearsal every week and appreciates the connection with the larger community. “I love that our audience is comprised of friends and people we interact with on a daily basis in our lives outside the symphony,” she says. 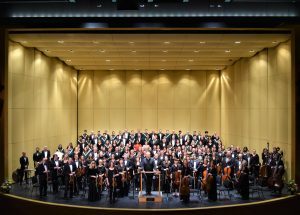 Be sure to attend the Olympia Symphony’s season finale, “Cast of Characters,” on Sunday, April 28, 7:00pm at the Washington Center for the Performing Arts. You’ll hear Maestro Huw Edwards conduct a literal and musical “cast of characters” — from Spanish toreadors in a famous excerpt from Bizet’s Carmen, to invented soldiers and comedic cover-ups in the music to the epic film Lieutenant Kije by Prokofiev. The music in Ravel’s ballet score Mother Goose includes children’s favorites such as “Tom Thumb,” “Beauty and the Beast,” and “Sleeping Beauty.” Offenbach’s Overture to Orpheus in the Underworld ends with the famous high-stepping “Can-Can”! Learn more about the Cast of Characters concert at the Olympia Symphony Orchestra website, by following the Olympia Symphony on Facebook and Instagram, or by calling 360-753-0074. Tickets start at just $10.